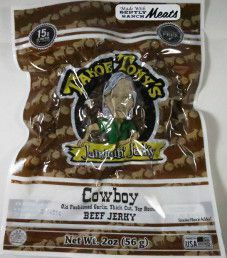 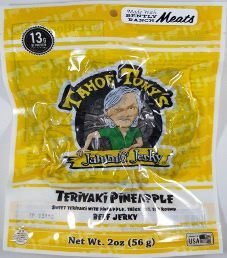 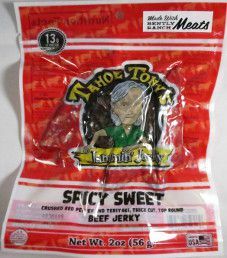 The first review for Tahoe Tony’s Jammin’ Jerky will be on a 2 ounce/56 gram bag of their spicy sweet flavored 100% grass-fed beef jerky. 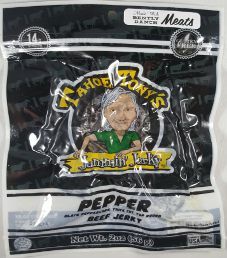 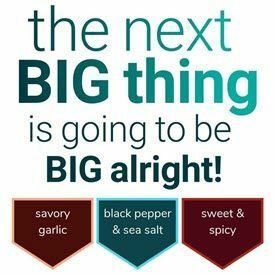 This flavor is described as using crushed red pepper, and teriyaki with a thick cut. 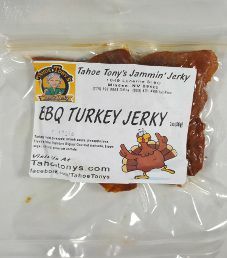 The bag was kindly submitted for review by the owner and CFO Brooke Luckey, who is married to the founder Tony Pearl.